Searching for Sita, Rama and Laxman Shabri’s ashram. Shabri offers fruits which have been tested by her so the Lord does not get a bitter fruit. Shabri advises them to go further southwards to Pampa lake and to Kishkindha where they would get help. 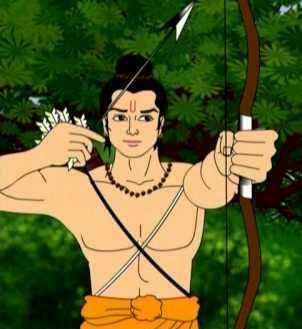 On Shabri’s advise, Rama reached Kishkindha while looking for Sita. 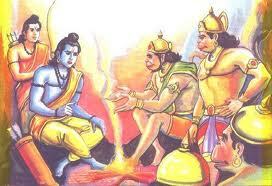 Sugriva was sceptical of the two brothers and he asked Hanuman to assess their intentions. 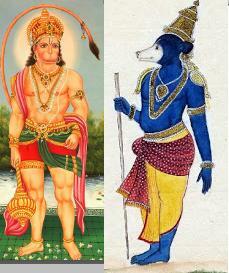 Hanuman disguised himself as a brahmin but Rama identified him due to his chain around the neck. Hanuman fell upon his feet. He showed them the ornaments and jewels which were thrown by Sita while she was abducted. Rama recognises them of Sita’s. Hanuman took them to Sugriva. Sugriva was driven out by Vali. Vali also took Sugriva’s wife. Rama befriended Sugriva. 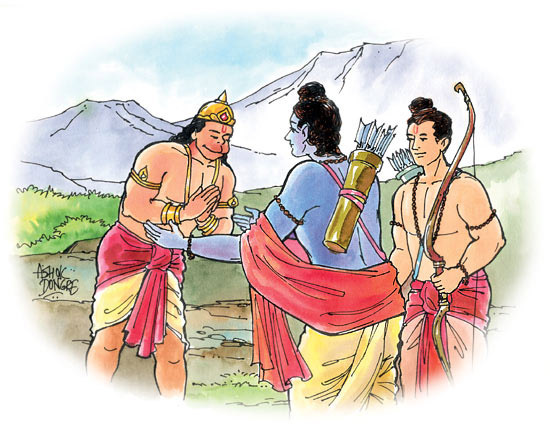 Rama promised to help him. Vali had a boon which made him unconquerable. Sugriva promised that he will help in finding Sita. Ram asks Sugriva to invite Vali for a fight. He also asked him to wear a garland because both brothers looked identical. Vali accuses Rama of wrongdoing. Rama explains that he has committed the crime of abducting his brother’s wife. And Kishkindha, a state of Bharat’s kingdom, lies in his jurisdiction. His crime was unforgiveable, so he had to execute this task of killing him. 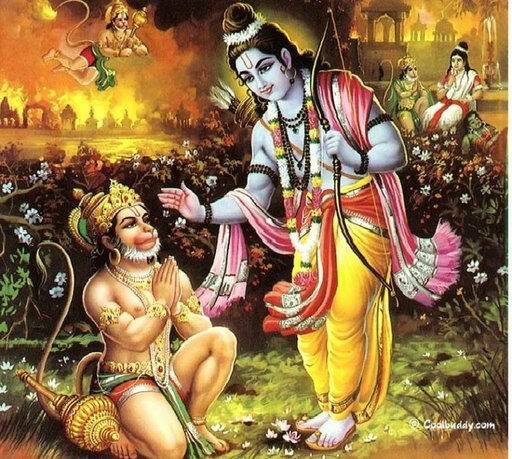 It is said that Rama promised Vali to give him a chance to avenge his unjust murder. Vali is believed to be born as Jara, the hunter, who became the cause of Shri Krishna’s death. 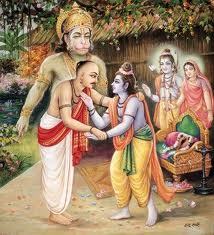 Vali understood and Rama forgives him. Tara (Vali’s wife) is inconsolable. Tara invokes the power of her chastity and curses Rama so that he will soon lose Sita after he regains her. She declares that Sita will return to the earth. 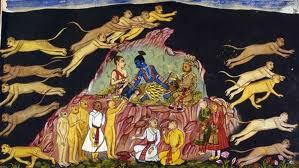 Tara additionally curses Rama that in his next birth, he will be killed by Vali. Rama pacifies her. Sugriva crowned as king. Angad (Vali’s son) was anointed as the heir. Rama also taught him nuances of statesmanship. He advised Sugreev to rule justly. Then Sri Rama along with Laxmana went to live at Pravarshan Mountain. Few months passed. Sugriva forgot his promise. 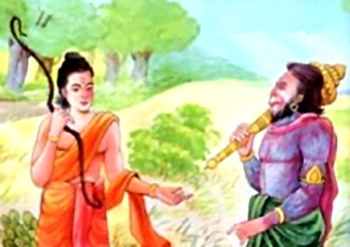 Rama gets restless and advises Laxman to visit Kishkindha. Laxman threatens to destroy Kishkindha after Sugriva did not keep his promise. Tara asks Sugriva to help Rama and Laxman. 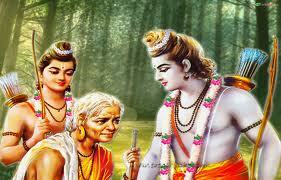 Sugriva instructed Hanumana to send the messenger in all directions and to bring the news of Sita within fifteen days. Angad told sugriva that Hanuman can only find Sita. Sugriva asks Hanuman to search. 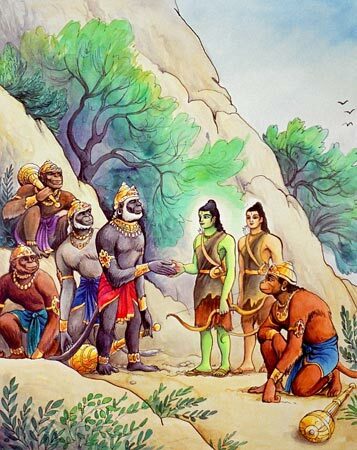 Hanumana then gathered all the monkeys and went to Sri Rama to seek his permission. Rama blessed them for successful accomplishment of their mission. He also gave his ring to Hanumana. 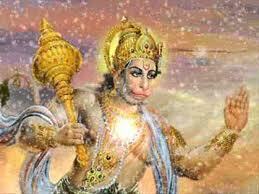 Now Hanuman and his army of monkeys moved in search of Sita. They searched Sita in the caves of every mountain but did not find her. 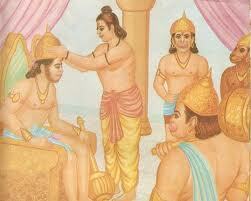 Jambvant consoled Angad saying that Rama was not an ordinary human being. 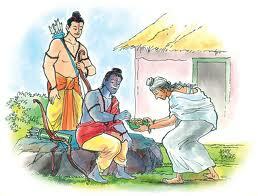 He also said him not to worry, as everything would be resolved by Sri Rama’s blessings. They reach seashore. 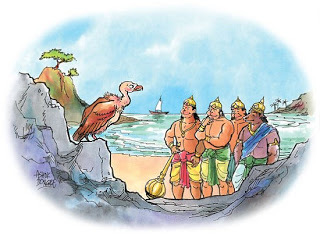 At the seashore Sampati ( brother of Jatayu) bumped into Hanuman. He told him about Sita and she is in Lanka. When Jambvant saw that there was nobody who could cross over the ocean, he praised and urged Hanumana to cross the ocean. 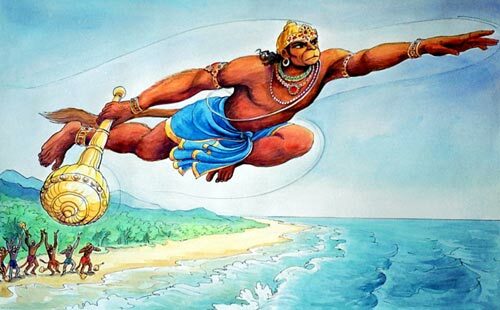 Hanuman had a curse that he would only realize his strength and capabilities when told by someone. 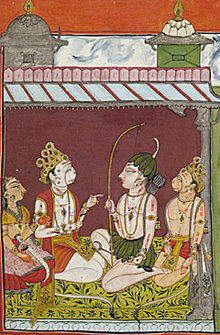 Jambvant urges Hanuman go to Lanka. When Hanumana listened to Jambvant he realized his latent strength. His body expanded like a mountain. Hanumana then sought Jambvant advice. Jambvant instructed him to just return back after seeing Sita in Lanka. He said that the rest would be accomplished by Sri Rama. The pictures make it very interesting .Liked it a lot.Thanks.